The efficacy of microbial cell removal (EMR) from fabrics is a practically important indicator for the evaluation of cleansers and detergents. EMR is expressed quantitatively by the relative number of viable cells remaining on a fabric swatch after the treatment with these reagents. In order to count the viable cells on the swatch directly and rapidly, we have developed a unique microscopic imaging system with an ultra-deep focusing range. Standard swatches of cotton fabric were inoculated with microorganisms such as Pseudomonas fluorescence, Staphylococcus aureus, or Candida albicans. After the incubation on an agar medium, each swatch was treated with a fluorescent glucose, 2-[N-(7-nitrobenz-2-oxa-1, 3-diazol-4-yl) amino]-2-deoxyglucose, to stain only viable cells. The images of every cell distributed within the surface layer with no greater than 130 μm thickness could be integrated into one image. Thus visualized cells could be counted automatically by a novel imaging program. Using a pair of cotton swatches (0.5×1.0 cm2) inoculated with C. albicans, EMR was evaluated quantitatively. Before washing, the total number of viable cells found on the observation area (3.8×10−4 cm2) was 288 cells. After washing with a test detergent, no cell (<1) was detected. For this case, EMR was given by the formula: log(288/<1)=greater than 2.5. The imaging and cell count of a test fabric could be performed within 1 h.
This research was supported by the Microbial Visualization Community of Practice in Procter & Gamble Company. 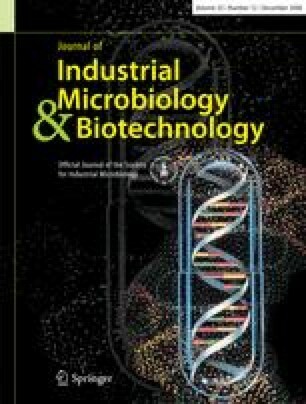 The authors would like to thank Dr. P. Geis and Dr. S. Donaldson in Procter & Gamble Company for the constructive discussions and for reviewing the manuscript and Mr. Tottori of Kogaku Inc. for the supports and inputs for the microscopic system designs. This work is partially supported by the know-hows developed in the research project: The High Throughput Creation of Disease Model Cells and the Analysis of Their Function, which is funded by Core Research for Evolutional Science and Technology (CREST) of Japan Science and Technology Agency.